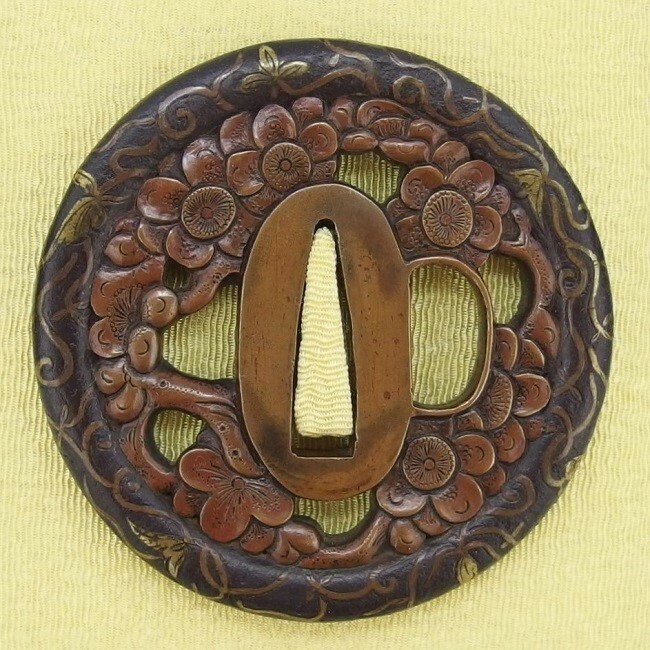 "A round copper plate with excellent and finely carved sakura blossoms and branches. This technique is called sukisage bori, resembling woodcarving to produce the desired design. 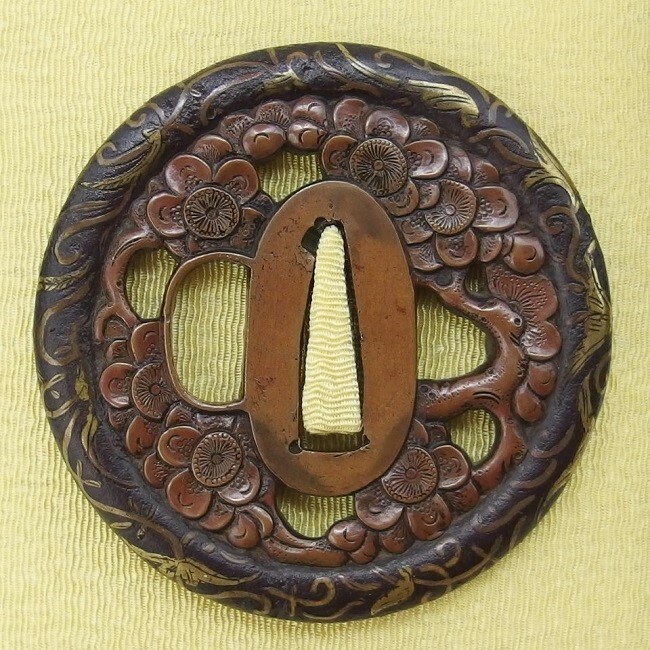 The iron dote mimi, or flanged reinforcing rim, was made by forging a flange or raised rim on the tsuba, or by affixing a hollow, circular reinforcement to the circumference of the plate of the tsuba. 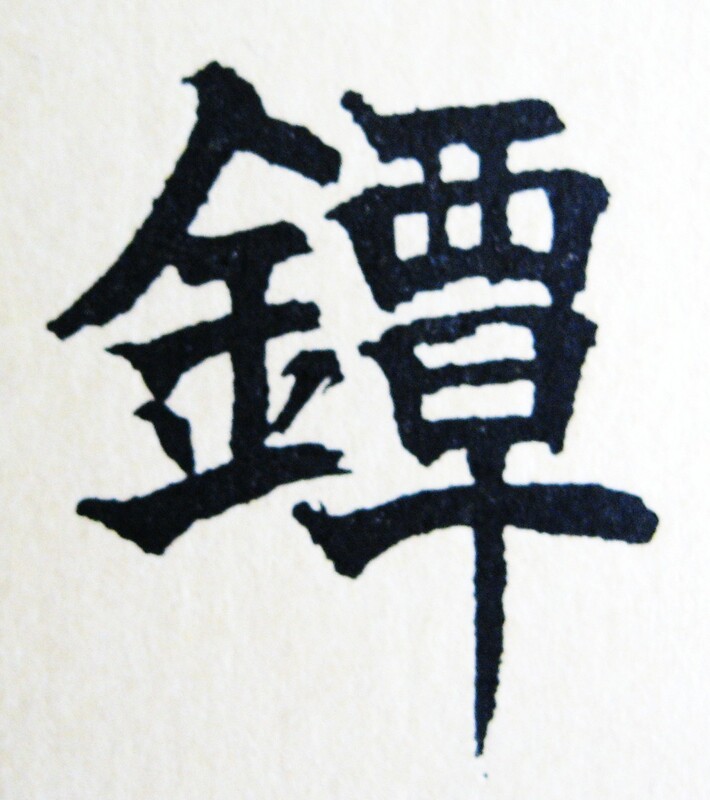 The mimi is inlaid with vines and leaves in gold displaying a Momoyama Heianjo style.